Florida's exotic beauty has been an inspiration to artists throughout the state's history, but perhaps the most intriguing of those to record it are the painters now known as the Highwaymen. Starting in the late 1950s and continuing into the 1980s, a group of black residents living in a few small towns along the state's eastern coast began a unique artistic enterprise painting landscapes and selling them door-to-door, town to town. While blacks in other parts of the state were demanding their civil rights, these entrepreneurial artists were painting images of palm trees and blazing sunsets on cheap building board in makeshift studios set up in their backyards, then loading them up in the trunks of their cars and driving around looking for buyers and financial freedom. In 2004, the Florida Arts Council inducted twenty-six of these painters into its Artists' Hall of Fame. In their prime, when they were making stacks of paintings with more money coming in than they ever dreamed possible, their pictures were often denigrated, considered by those who knew art as cheap, second-rate imitations. They could not have imagined that they would be hailed alongside those well-known artists who were captivated by Florida's tropical paradise, Hermann Herzog, Winslow Homer, Martin Johnson Heade, John Singer Sargent, Norman Rockwell, or the local white artist they considered their mentor and who was recognized for his Florida landscapes, A. E. Backus. Apart from Backus's influence, the Highwaymen's work stands on its own, redefining the landscape genre with bold color, broad brushstrokes, loose composition and minimal detail. 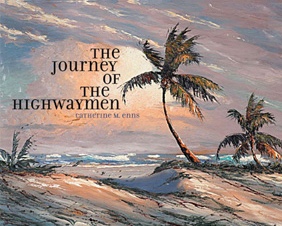 The Journey of the Highwaymen is a new book by Catherine Enns that features over 200 full-color plates by A.E. Backus and the inspired artists who have come to be known as the Highwaymen. Enns explores a multi-dimensional story that begins with tragedy-the murder of Alfred Hair, the man whose fast painting style became the defining characteristic of Highwaymen art-and ends with triumph as the works the twenty-six artists created, under the influence of A. E. Backus, became recognized as an original American art form. 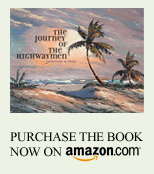 Along the way, the Highwaymen artists produced an historic and hugely successful art enterprise symbolizing the perseverance of the American spirit. I believe the Language of Desire is one of the best relationship programs currently available to women. It’s written from the perspective of a woman who has successfully implemented the techniques outlined in the course. While the information is invaluable, it’s also incredibly insightful.